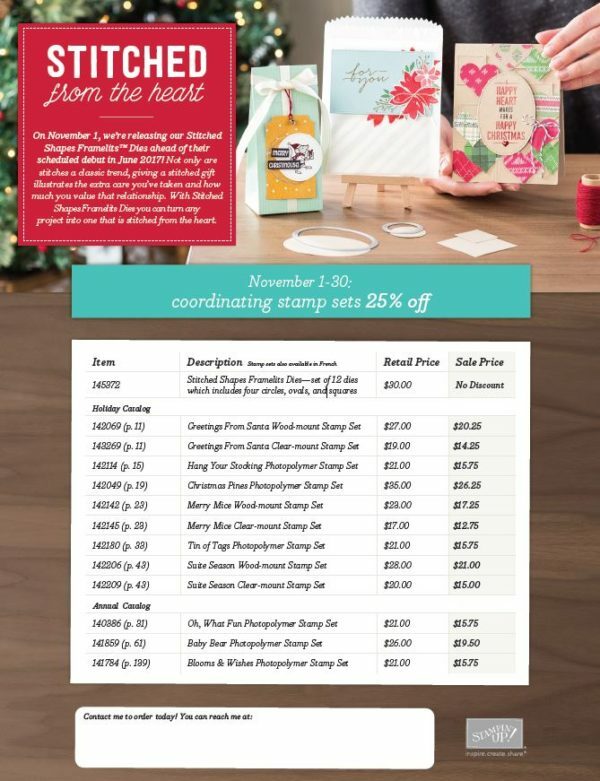 Unique ink: November Stamp and NEW Framelit Promotion! 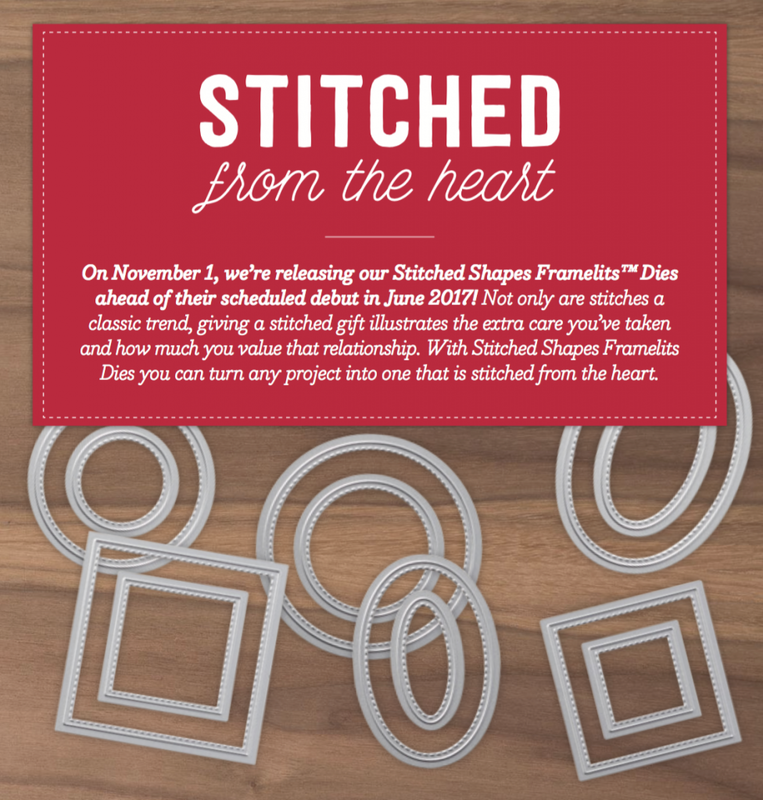 November Stamp and NEW Framelit Promotion! Today I'm sharing a promotion that starts today! 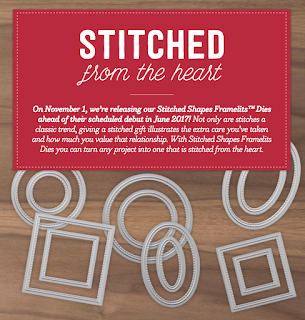 During the whole month of November, you can get this NEW Stitched From the Heart Framelit set and 25% off of the stamp sets that this set of framelits coordinates with! These Framelits will be in the 2017-18 Annual Catalog but you can own them WAY AHEAD of that! Here is the list of stamps that are included! 25% OFF!!!!!! Get some of those stamps marked off of your Christmas/Wishlist!